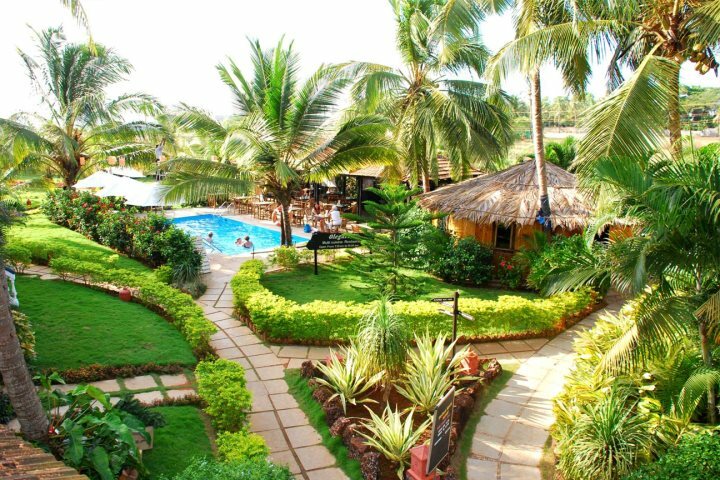 A fantastic choice for a Goa holiday on a budget, find out why Santana Beach Resort is a valued member of our collection. Plush, well-kept gardens cover the hotel grounds, and in amongst the flora you’ll discover little pockets where the pools and bars are hiding. 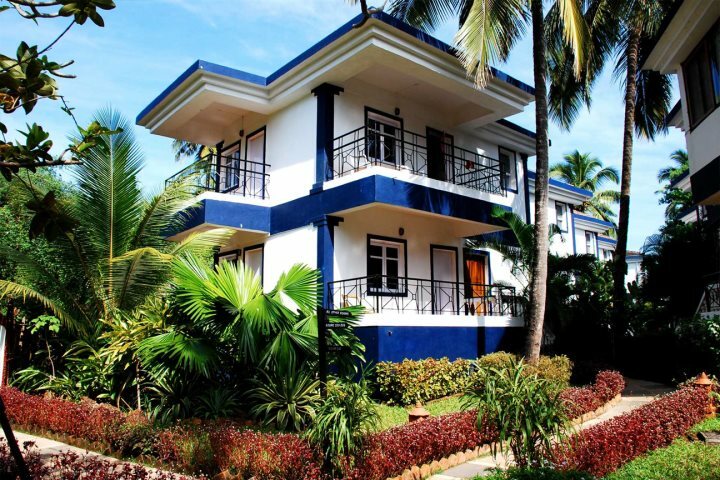 Santana Beach Resort has a wonderfully secluded feel, and as you wander the winding paths through the gardens, you’ll find fresh white and blue painted Portuguese guest rooms along the way. 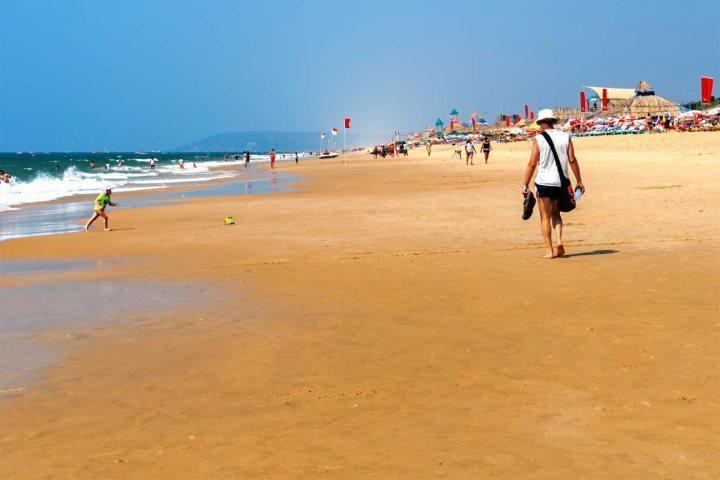 Beach lovers will be in their element here, as Candolim’s long stretch of golden sand is just a short stroll from the hotel, and with lots of beach shacks along the sand, you can enjoy a spot of lunch with spectacular ocean views. 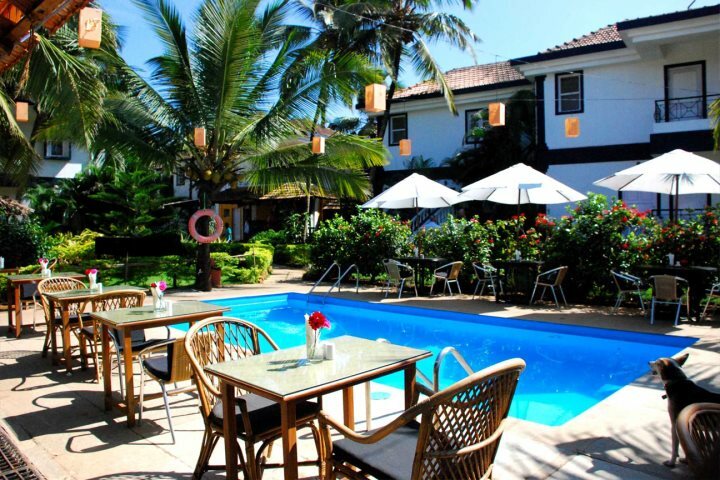 Calamari restaurant is a great place to eat which is close to the resort, serving some fabulous seafood dishes. The village of Candolim itself has an array of shops and restaurants as well as souvenir shops to buy your holiday trinkets, so you’ll always have something to do should you wish to go out and explore. You can also find out more about getting out and about in North Goa in our comprehensive guide. Bed and Breakfast, Half and Full Board options are available, and all the guest rooms come with air-conditioning and a balcony or terrace, along with all the usual mod cons. You can currently book a 7-night exotic escape to this sun-filled hotel from as little as £739pp, which includes your flights, transfers and B&B. Explore our special offers, or just generally have a browse of our hotel collection.